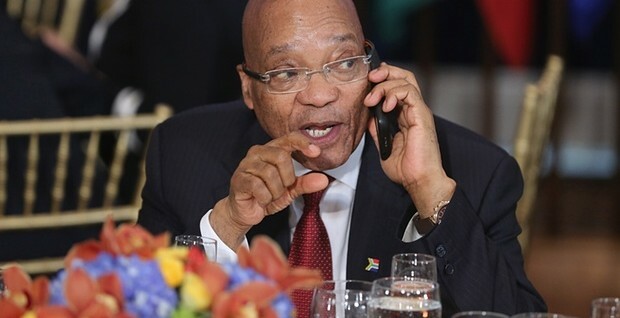 When South African president Jacob Zuma confirmed he was planning to withdraw the country from the international criminal court, he was careful to claim the moral highground. The announcement comes after a debacle earlier this year when the cracks in South Africa’s relationship with the ICC first became clear. In June, in defiance of an international arrest warrant for alleged crimes in Darfur, Sudanese president Omar al-Bashir was allowed to make an abrupt departure from an airstrip outside Pretoria. At the time South Africa hinted that the court was “no longer useful”, but now it’s gone a step further. The party was eager to reiterate its support for the court’s guiding morals – but only in theory. “The principles that led us to be members [of the ICC] remain valid and relevant … however, the ICC has lost its direction and is no longer pursuing that principle,” said deputy minister Obed Bapela at the weekend. If the ANC really does wish to end impunity for genocide, war crimes and crimes against humanity, and sees nothing wrong (in principle) with an international court charged with doing so, why is it leaving? Zuma’s charge, that the ICC has “unfairly targeted African leaders”, is often made. But a closer look suggests it is without basis. Of the eight cases the ICC has pursued in Africa thus far two have been referred by the United Nations security council – Sudan and Libya – and four have been self-referrals, in which the state involved has requested the assistance of the court – the Democratic Republic of Congo, the Central African Republic, Uganda and Mali. This leaves only two cases, Kenya and Côte d’Ivoire, which the prosecutor initiated independently. That’s not much of a vendetta. Why has the ICC not pursued cases elsewhere? Well, it is currently investigating situations in Afghanistan, Colombia, Georgia, Honduras, Iraq, Palestine and Ukraine. But also up until now most crimes that fall under the court’s jurisdictionhave occurred either in Africa or in countries that have not ratified the Rome Statute, the treaty which established the ICC. It is telling that no one has ever argued that any of the eight cases currently being investigated is not deserving of prosecution. This is the great tragedy of South Africa’s new stance: the victims of real atrocities in Uganda, in the Central African Republic, in Mali and elsewhere are forgotten, brushed aside by rhetoric and political posturing. South Africa has also not provided any evidence that the structures of the ICC are open to abuse or manipulation. The court is presided over by a diverse panel of international justices appointed by a two-thirds majority of the Assembly of State Parties, of which South Africa is a member. There are three stages to every prosecution: first a pre-trial chamber of three judges evaluates the evidence to determine whether it is sufficient to issue an arrest warrant. This means the prosecutor cannot simply haul any person to trial on a whim or fancy; in the case of Callixte Mbarushimana, for example, the leader of the Democratic Forces for the Liberation of Rwanda, a pre-trial chamber dismissed the charges and halted proceedings. If sufficient evidence exists, the accused has access all the rights of a fair trial and is able to appeal against the verdict. The statute also provides advanced mechanisms to hold the judges and the prosecutor accountable. In short, this is probably the most sophisticated and fair judicial structure in the world. It is true that the ICC has not been as effective as it should be, often hamstrung by the reluctance of many states to cooperate with its investigations and comply with its arrest warrants. But this is not a reason to leave its jurisdiction. In the absence of any compelling evidence to suggest malice on the part of the ICC, and without any reason to believe that it has done more harm than good in the pursuit of human rights, there can no credible argument for South Africa’s withdrawal. The decision does not even make sense in pursuit of South Africa’s national interest. Should the country withdraw, a mass exodus of African states will likely follow and the foundations of the court will crumble. Not only will this set back the pursuit of meaningful international justice by decades, it will seriously tarnish South Africa’s global reputation as a proponent of human rights and a moral authority in the world, significantly reducing its political capital. The country’s prominence in a variety of international institutions relies on this reputation, as does its bid for permanent status at the UN security council. Ultimately, the ANC can whine as much as it likes about the country’s continued commitment to human rights but the world will not care. South Africa will be seen to join the ranks of those states that have forsaken the most vulnerable victims of atrocities for short-term political gain.